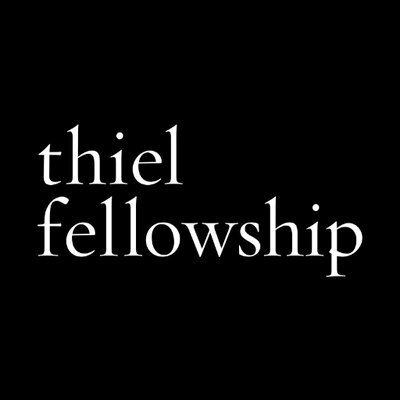 The Thiel Foundation has named 20 people into the 2018 class of Thiel Fellows. The Fellowship program, which launched in 2011, encourages young people to pursue big ideas and start companies instead of attending college. Fellows receive $100,000 and mentorship from the Thiel Foundation’s network of technology founders, investors, and scientists. To date, companies created by Thiel Fellows are worth more than $3 billion combined, not including Thiel fellow-created Ethereum, a distributed computing platform whose cryptocurrency Ether has a market cap of about $50 billion as of June 22, according to a statement from the foundation. André is CEO of HelpWear, a company creating a 24/7 at-home, clinical-grade ECG monitor worn on a patient’s wrist or arm. Andrew is a co-founder and CEO of Rainway, a web-based game-streaming platform that lets users play their favorite PC games anywhere, across a variety of different devices. Aparna is a co-founder and CEO of Mechanism Labs. It tackles problems in blockchain through cryptoeconomics, currently focusing on incentive design and alternative consensus. Axel is a co-founder of Vest, a company building software for Ethereum and other blockchains that enables users to earn interest on their cryptocurrency. Daniel is the CTO of MyCrypto, and is helping to facilitate the transition to a decentralized society by bringing accessibility to Ethereum and other blockchains. Divy is creating technology that helps firefighters respond faster and more accurately to the exact location of an emergency. Erin founded FacePrint, an AI tool to diagnose and monitor Parkinson’s disease and commonly misidentified neurological disorders using video technology and early-stage facial muscle indicators. Gemma is a co-founder of Discovr Labs, which uses VR/AR immersive technology to deliver the most effective education and training experiences. Greg founded Diluvian, a company that has developed new privacy technologies to help everyone better protect their personal and business information. Jamie is a co-founder of Flare, which is building technology to turn any internet-connected device into a cloud server and eventually build the infrastructure for a new decentralized internet. Joey is a co-founder of Amber Agriculture, a company leveraging the latest in analytics and automation to manage, protect and market grain. Joshua is the founder and CEO of DoNotPay, the world’s first robot lawyer, which aims to make the law free, automated and instant for consumers. Josh is a co-founder of Ephemeral Tattoos, a company developing a suite of semi-permanent tattoo inks—applied by tattoo artists— that disappear completely on their own. Julián is a co-founder and CEO of Higia Technologies, a company developing an accessible and non-invasive wearable device for breast cancer risk assessment. Kimberlie is a co-founder and CEO of Terramino Foods, which uses fungi-based protein to replicate the taste, texture, and nutrition of seafood and meat. Liam is a co-founder and CEO of Nelumbo, a company that has developed a new materials platform that is able to significantly increase the energy efficiency of any refrigeration system. Meghan is a founder and CEO of ExpressionMed, a company that creates supplemental adhesives for wearable devices in chronic care, allowing people with diabetes to wear their devices longer, more comfortably, and without pain or residue upon removal. Robert is a co-founder of Polkadot, a project that aims to reshape the existing internet structure into a completely decentralized web. Shak is a co-founder of Avro Life Science, a company developing skin patches for generic drug delivery. Avro’s easy-to-use patches are made from a novel polymer and allow multiple medications to work faster and last longer. Tapa is the founder and CEO of Vathys, a company creating machine learning chips that operate 10x faster than current options.